Scott will perform with Maroon 5. 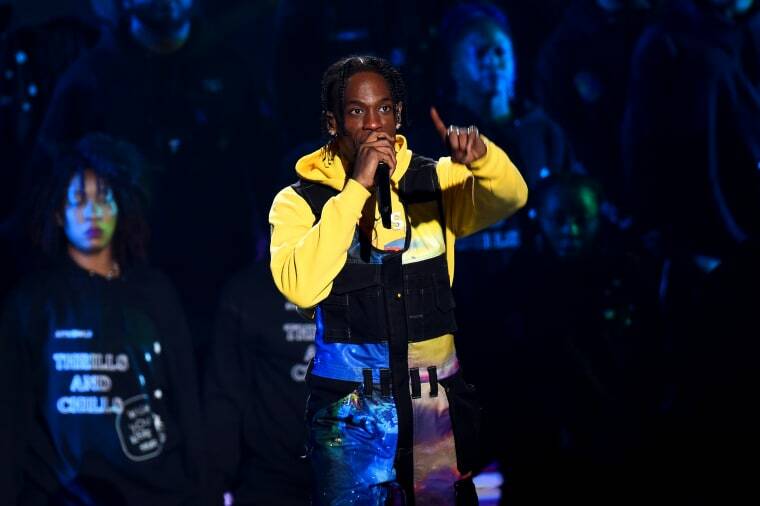 Travis Scott wouldn't agree to play during the halftime show for Super Bowl LIII unless the NFL agreed to donate to a social justice cause, according to Billboard. The report comes after Scott received backlash for agreeing to perform. According to the publication, "A source close to the negotiations has now confirmed to Billboard that Scott required the NFL to make a joint donation to an organization fighting for social justice in order for him to move forward with the event." The rapper and the NFL donated $500,000 to Van Jones' "social justice accelerator." Scott wil reportedly work with the NFL on additional initiatives, too. Scott will perform during the halftime show in Atlanta alongside Maroon 5. Artists including Rihanna and Pink reportedly turned down offers to perform at the Super Bowl in support of Colin Kaepernick.